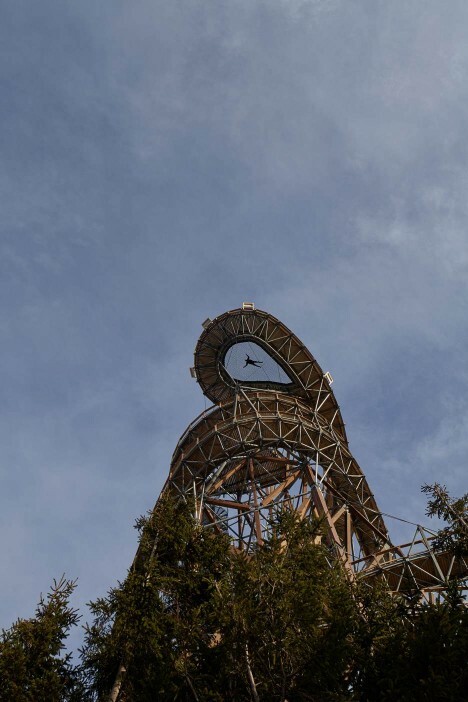 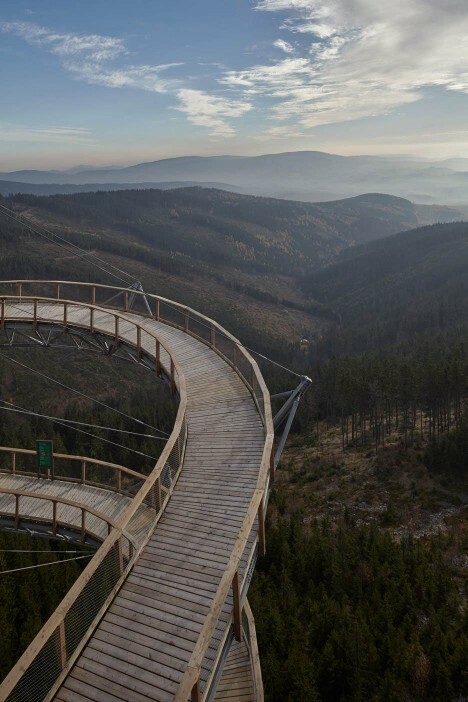 After winding their way up a hundred-foot-tall pathway in the Czech Republic set atop a mountain peak (itself located over 3,000 feet above sea level), visitors are presented with two options: walk all the way back down, or take a ride on the slide that shoots back down through the center of the spiralling walkways on all sides. 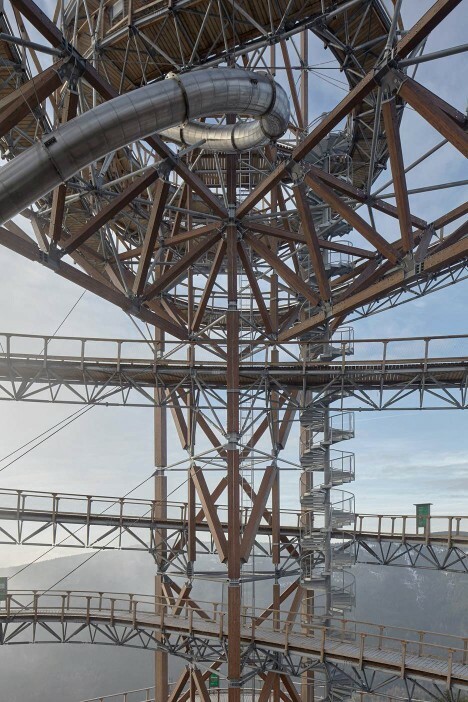 Another feature for daredevils comes in the form of netting suspended from a section along the top. 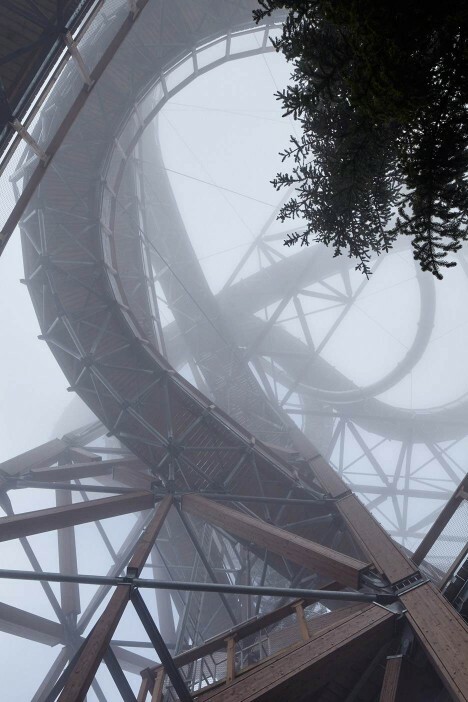 Those who wish to can walk and lay on this mesh, experiencing whatever level of terror they can tolerate. 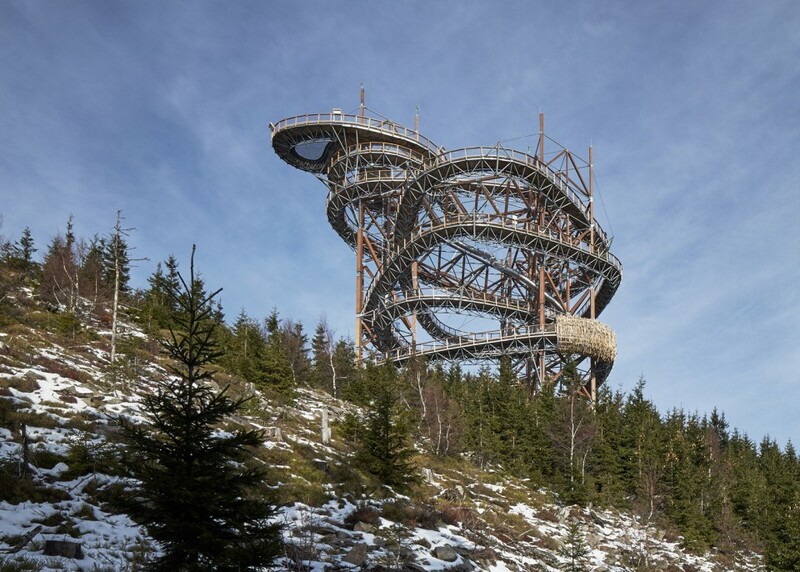 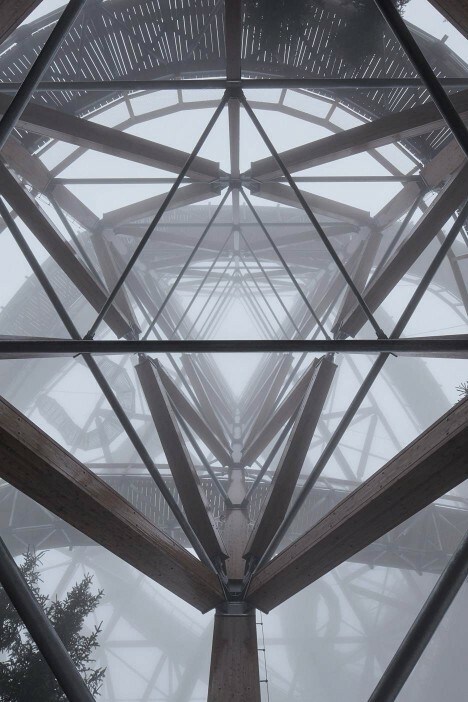 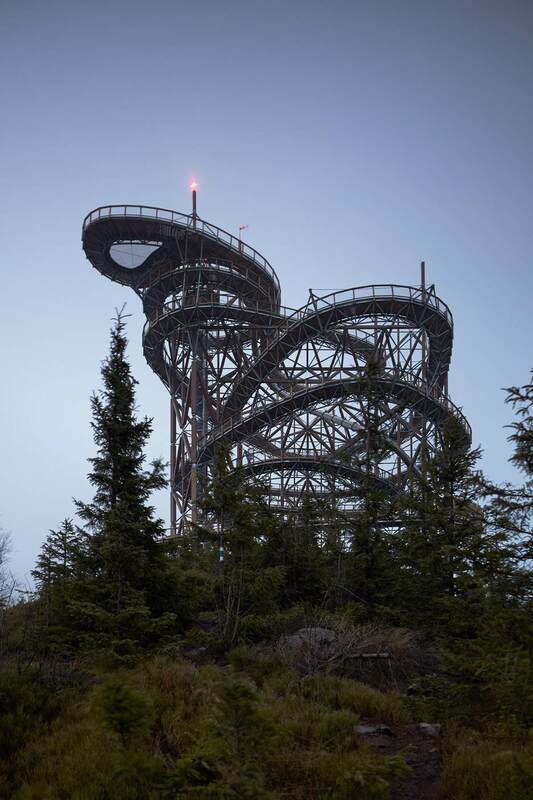 Fránek Architects designed this massive wooden structure, dubbed Sky Walk and aimed at giving viewers a number of twists, turns and chances to find the perfect vista while they work their way up. 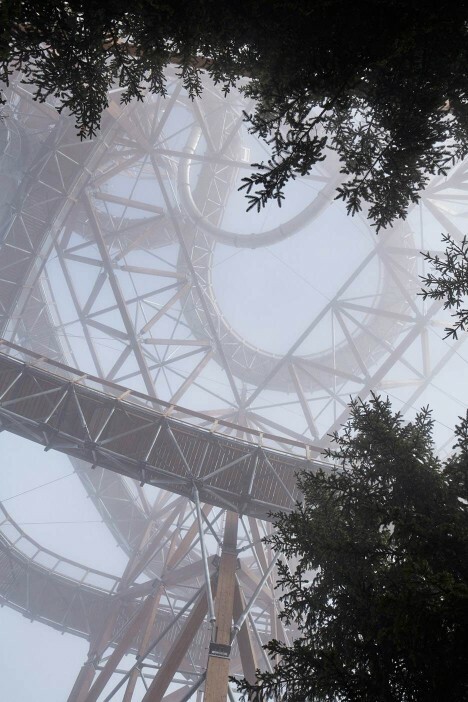 “It offers an endless amount of views, situations and moments where an indiscernible human being enters the depth and emerges on the outskirts of this natural structure,” said Fránek. 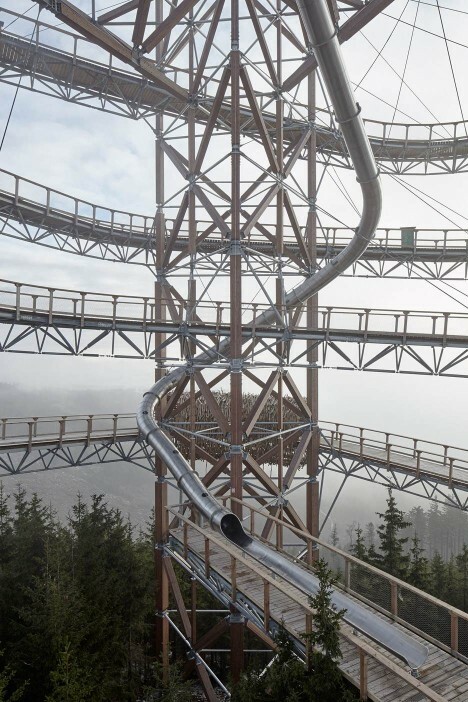 The pathways are suspended from a central structural core made up of metal-joined wood trusses, forming a space frame that also supports the stainless steel slide more brave guests will opt to take for their return trip. 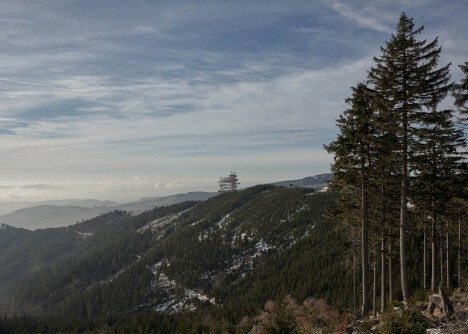 Located as it is on top of a tall and exposed mountain, the structure is heavily reinforced throughout and tied to concrete footings buried deep in the ground. 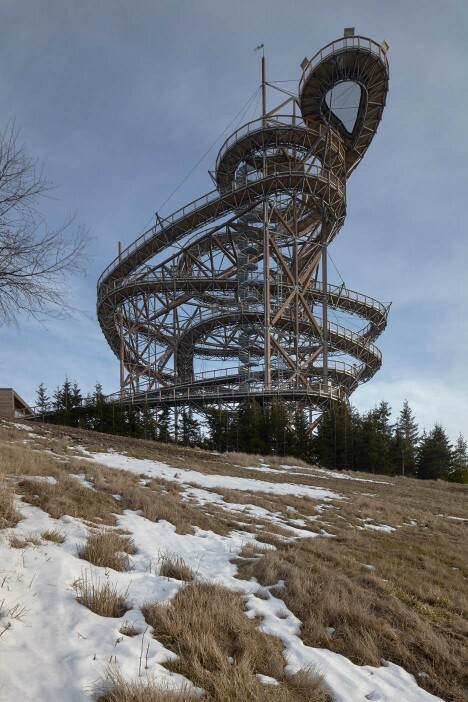 It also features an emergency spiral staircase down its center. 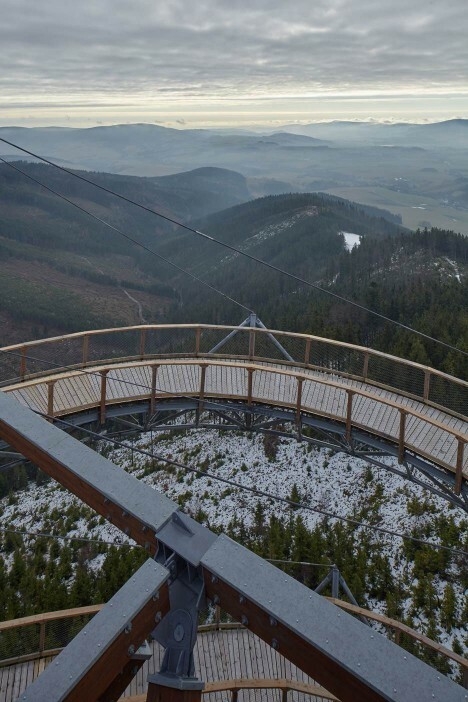 Travelers can get to this wheel-accessible pedestrian viewing spiral via a chairlift at the foot of the mountain, near Dolni Morava.